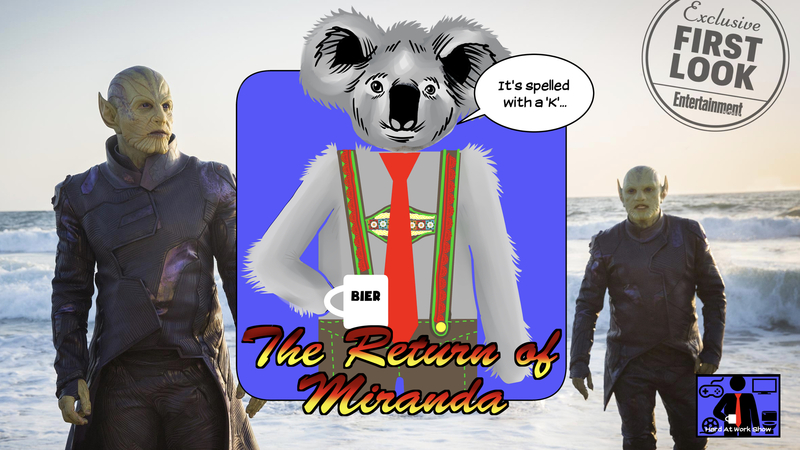 On this week’s lunch break, the guys, with returning special guest Miranda, engage in some Trailer Talk about the upcoming “Captain Marvel” and “Dark Pheonix” films. They also discuss the closing of Telltale Games Studio and what that means for the people who worked there. Other topics include Australia facts, Mysterio, Fantasy Football, Spider-Man, and the guy’s trip to a local Oktoberfest celebration. Enjoy!